PEYTON Boaz was on this plane with his mum and dad when it crashed and burst into flames. Somehow, he walked away. 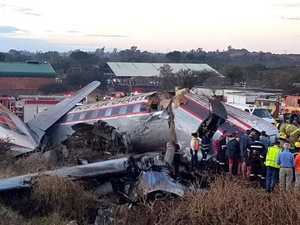 News PEYTON Boaz was on this plane with his mum and dad when it crashed and burst into flames. Somehow, he walked away.